Now that we’re in the middle of winter, sometimes it seems like we live in perpetual darkness: its dark as you head into work and then dark as you head home. Many people experience fluctuations in their mood that can be linked to changes in light exposure: called ‘Seasonal Affective Disorder’ (aptly: ‘SAD’). One biohack that can help people suffering from SAD is exposure to a special bright blue light box for about an hour a day. Researchers now believe that light box therapy can be a natural way to help treat other kinds of mood disorders, such as bipolar depression. In this study, researchers tested the effects of ~60 minutes of blue light therapy vs a placebo red light in patients with treated bipolar disorder. The blue light was placed around 1 foot from their face for an hour a day in the middle of the day. This time choice was interesting because normally for SAD light therapy is given first thing in the morning, but in earlier research had hinted that early morning light could trigger mania in bipolar depression. The patients didn’t have to stare at the box, they were allowed to do normal tasks such as reading and writing. This intervention was given alongside their normal medications. To minimse the chance of any placebo effect, people were instructed not to look for any information about the effects of light therapy. The intervention was a success. 68% of patients using the bright light therapy were able to achieve remission compared to 22% of patients who had the placebo light. 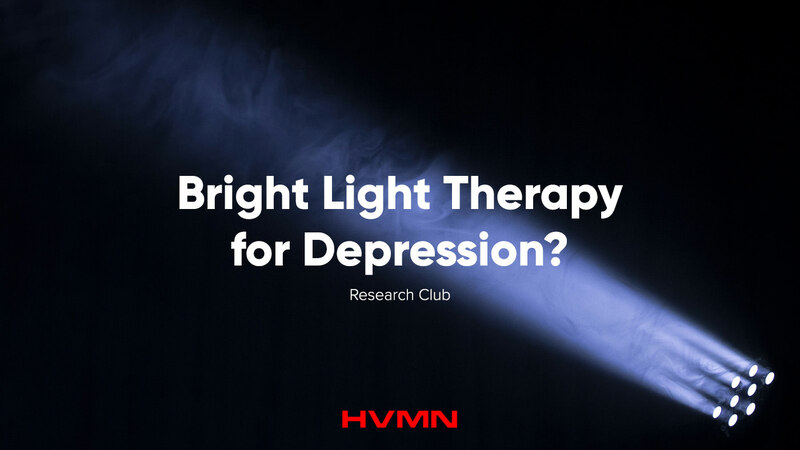 The investigators said in an interview that the results were still ‘preliminary’ and that light therapy for depressive disorders should not be attempted without medical supervision, given the previous results showing that light therapy can trigger mania. However, for those of us who feel a bit blue in the middle of winter, making sure we get exposure to natural light where we can is a great biohack. Try taking a 15 minute walk in your lunch break or maybe consider buying a light box as they are relatively inexpensive.